The festive season has begun now. People are rejoicing as they got several reasons to enjoy these days. Soon after the pitrapaksha ends, the festival of nine days begins. People gear up to please Maa Durga through worshipping her and observing fasts. There is also great enthusiasm for garba and dandiya. This year, Navratri celebrations would conclude on 18th October i.e. Navami. It would be followed by Dussehra or Vijayadashmi, falling on 19th October. 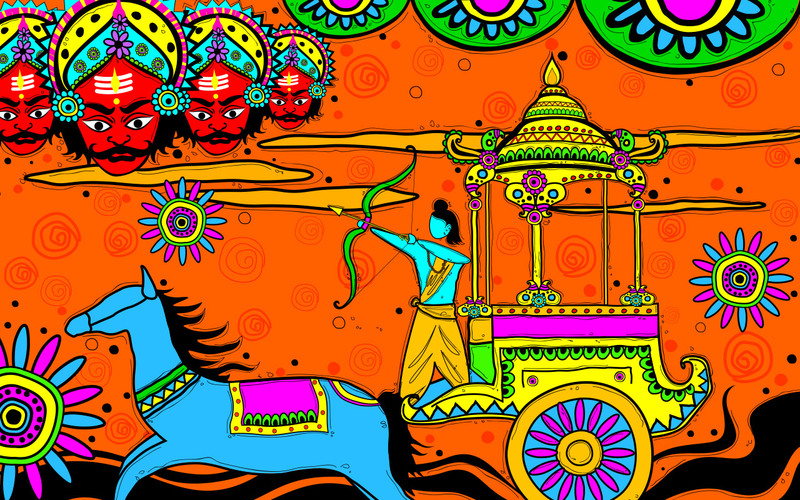 As each festival has its own significance, Dussehra signifies the victory of ‘Good over Evil’. Check it out. As per the Hindu mythology, Lord Rama, the incarnation of Lord Vishnu took birth to kill demons. In Ramayana, the epic battle of Ravana and lord Rama was held. Due to an abduction of Sita (Rama’s wife) by ten-headed demon Ravana, this battle was held. Lord Rama with his army of monkeys traveled to Lanka to bring his wife back. On the occasion of Vijayadashmi, Lord Rama killed demon king Ravana and freed the earth from his tyranny. It is also believed that Lord Rama prayed to maa Durga to seek her blessings ahead of his battle with Ravana. As per the other story, Maa Durga fought with buffalo demon Mahishasura for several days and defeated him. This day, marks the return of ‘Goddess’ Durga to the heavens. To celebrate Dussehra, enormous effigies of Ravana along with Meghanada and Kumbakaran are burnt. In fact, fairs are also being organized on this festival. People gather in Ram lila Maidans to see burning of effigies and enjoy delicacies. On the occasion of Vijayadashmi, Maa Durga’s idol is taken to immerse in water body. Maa Durga has been given farewell with lots of sweets, sindoor and betel leaf as part of offerings. This ritual happens mainly in West Bengal. Previous articleWhy is Congress being so obnoxious? It is running nation-shaming ads in Pakistan. Here is proof!